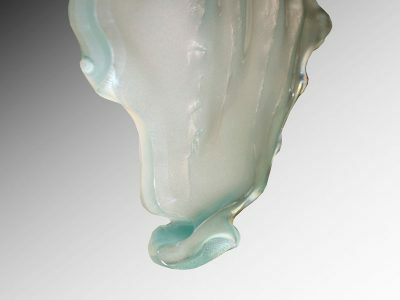 Slumping glass technique is a highly technical process that is a subject to many variations. In this process, a glass item is being slumped in a kiln (the mold over which the item is being formed). It must be coated with a discharge agent that will stop the molten glass from sticking to the mold. Kiln can be made of either ceramic, sand or metal. Before the kiln is heated it is important to cut the glass to the shape of the mold and placed on top of it. There are different stages of the firing, that go until the glass is “orange” i.e., flexible. At this point, gravity will let the glass to bend into the mold. The temperature the glass is held at is constant for a period that is known as the “soak”.